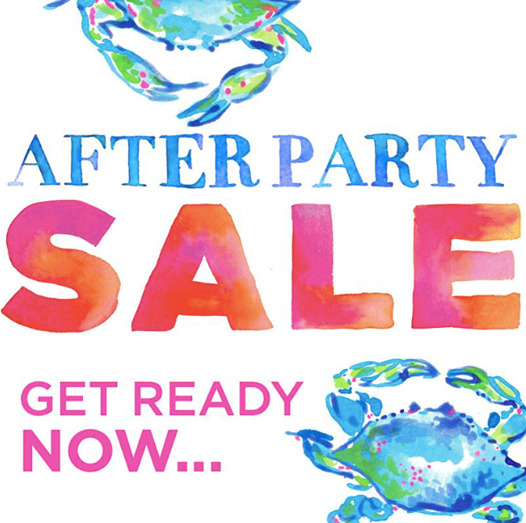 Living Colorfully: Lilly Pulitzer After Party Sale! Today is my Super Bowl! Lilly Pulitzer has a major sale once a year and it's when I buy the majority of my Lilly. It begins today and ends tomorrow. Y'all know I love to live colorfully, but that can get very expensive! During this sale you can grab amazing dresses for $99 and other items for even less. The beauty of Lilly is that it is made to be timeless, so you don't need to worry about buying at the end of the season. That's why I get most of my Lilly at the end of the summer for a great price and then I'm ready to go the next spring. Now, I'm not the only one who goes crazy about this sale, so I have some tips to make it go smoothly! 1. The sale opens at 8:00am EST (ish) and the site will almost certainly go down at some point. In order to keep this from hindering your experience, I definitely recommend heading to Lilly's site before the sale starts and make an account ahead of time. 2. Whenever you find something you want, buy it right away! This sale has free shipping, so it won't hurt you to make several orders. Keeping something in your cart will NOT hold it for you, so you don't want something you're dying to have to sell out while you're looking for something else! 3. Be ready to go right when the sale opens. Especially if you're a popular Lilly size, the sale will sell out quickly. The earlier you hit it, the better! Good luck and happy shopping! See the sale here! So much fun! I thought the sale went surprisingly well and grabbed so many cute things. Can't wait for them to arrive! Thanks so much for sharing! I didn't own anything Lilly, but these prices were too good to pass up! I can't wait for my order to come! I went to a wedding here several years ago and fell in love. When I got engaged, we didn't even shop around. It was this place or bust.